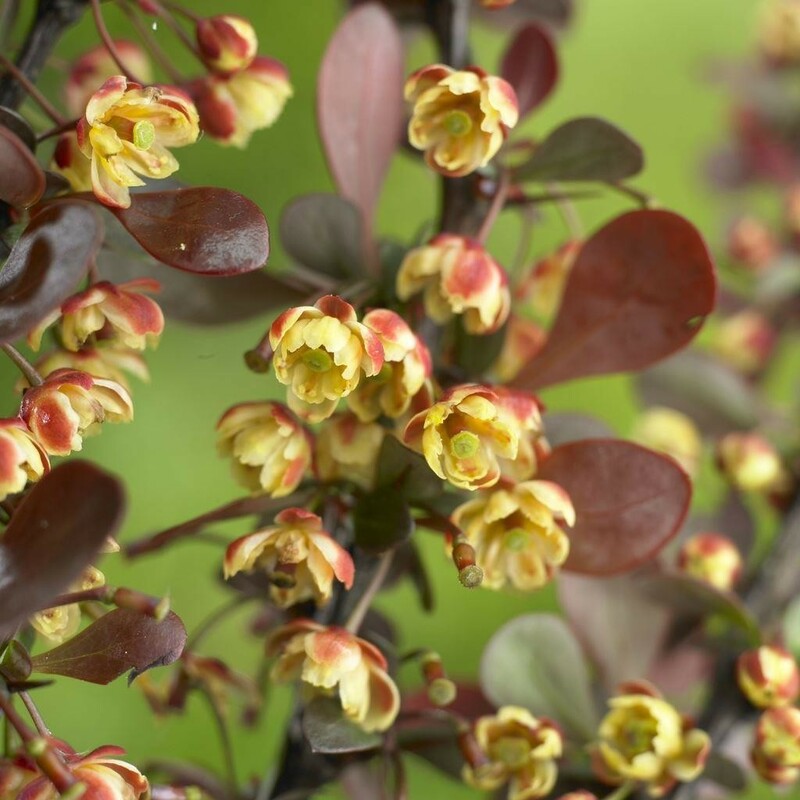 Berberis 'Darts Red Lady' is a wonderful dwarf variety of Berberis. 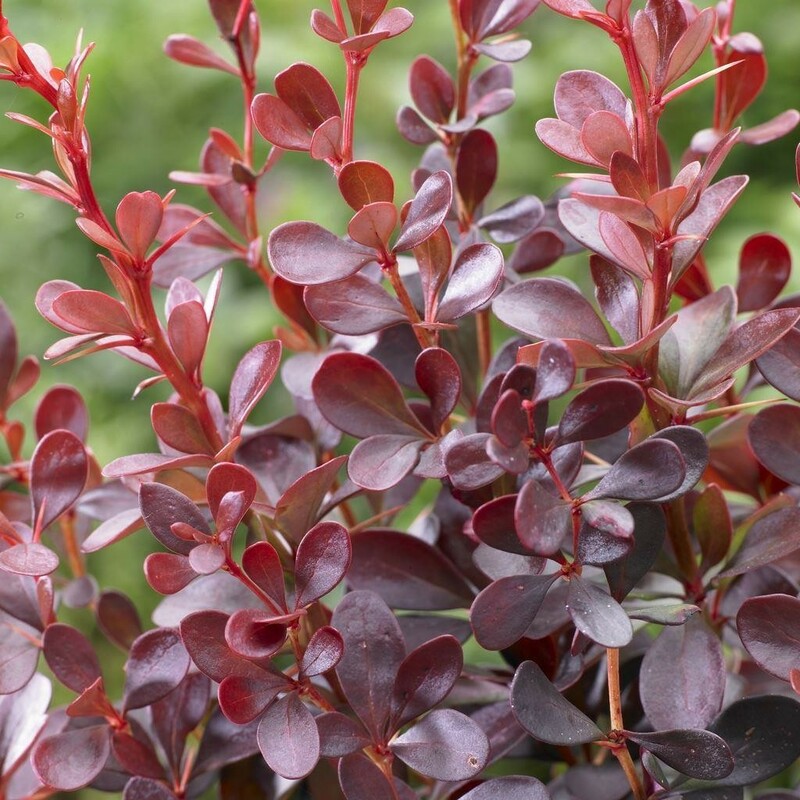 It has small, lobed leaves that are a brilliant deep-purple. In Autumn the foliage turns a remarkable shade of orange to red before dropping for Winter and almost seems to glow in the sunlight. 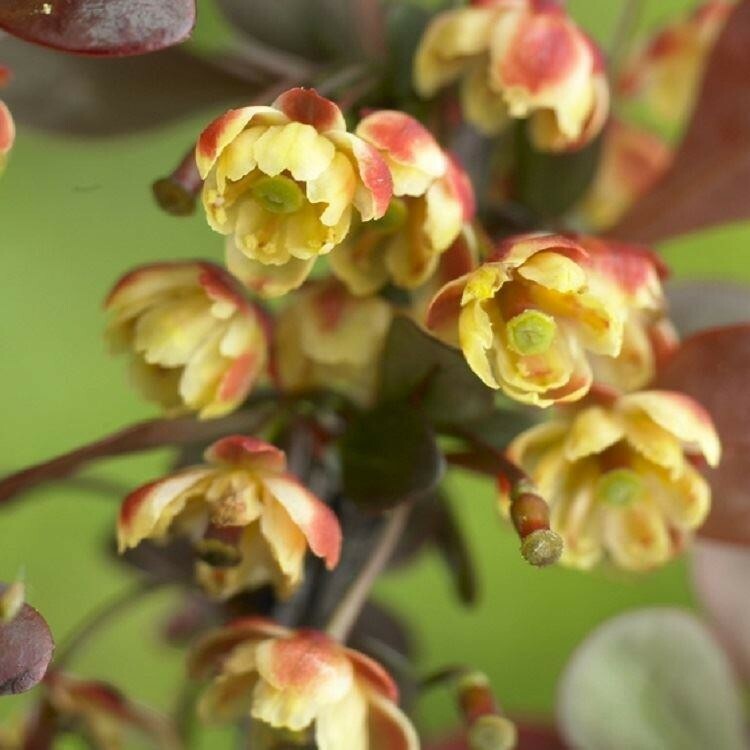 In Spring, clusters of golden yellow flowers are borne and whilst not overly significant, they are fragrant and followed by small, red berries which birds seem to love! 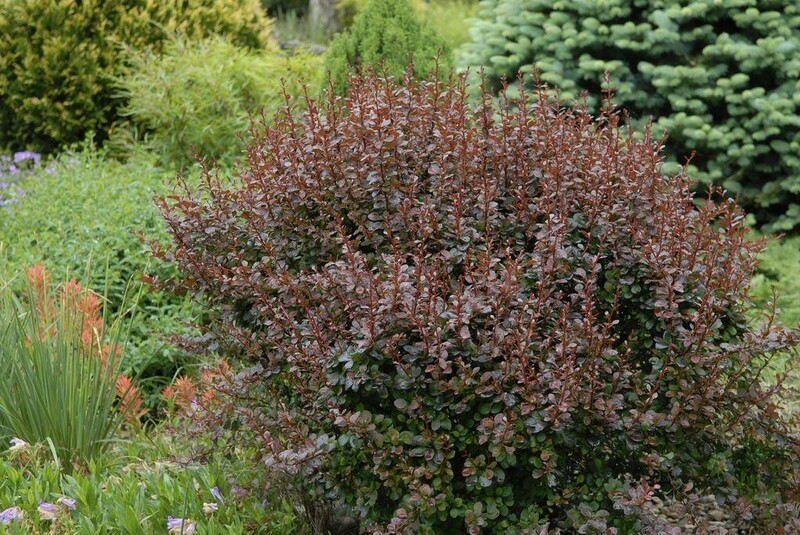 This shrub is hardy, easy-to-grow and will require little maintenance. Thrives in most soil conditions, just be sure to keep moist yet provide sufficient drainage. Cut back dead branches in late Winter to prepare for new growth in Spring. A compact plant, reaching a max height of 70-80cms with a slightly smaller spread. Perfect for the front or middle of a border, or even suitable for containers due to it's small nature. Strong, bushy plants supplied in approx 1-2 litre containers.